and Own The Low Post! If there is one truth about basketball that has withstood the test of time it's this – great post play wins games! Yes, even today, where smaller lineups and spreading the floor has become all the rage – post play is still a CRITICAL factor in developing a winning team. Are You Stuck Playing "Donut" Basketball? Three pointers and long range jumpers can be great. As long as they're going in. But when your team is having "one of those days" and can't make a shot... your offense can go downhill in a hurry. That's what we call "donut" basketball. Everything on the outside. Nothing close to the hoop. On the other hand... with a great inside game... you have a consistent, reliable way to score every time down the floor. Pound the ball inside and beat the other team into submission. Crash the offensive glass for second chance points, putbacks, and easy layups. Inside the new ebook package, Post Skill Development, you'll discover 32 wickedly effective drills that work for all ages and ability levels. To Help Your Team Dominate The Paint! It doesn't matter what your team looks like... how little experience you have... or how bad your kids are playing right now. Just implement these drills in practice and you'll see a sudden and dramatic improvement in your team's low post scoring, rebounding, and overall toughness and aggression. Just the raw drills and coaching tips that will unlock the secrets to better basketball, engage your players in practice, and give you the knowledge and confidence of a championship coach! Rodeo Post Up – An essential (and fun) drill that combines post offense, post defense, and post entry passing. One-on-One Rebounding – This is a great competition drill that stresses the importance collecting defensive rebounds, being strong with the ball and executing a solid outlet pass! Three-on-Three Rebounding – Need to "juice up" your practice with some competitive spirit? This awesome drill will have your kids crashing the boards like animals! Free Throw Blockout Drill – There's nothing more frustrating than giving up an offensive rebound on a free throw. Correct this brutal error with this one simple drill. Line Rebounding Drill – This drill will really get your players’ competitive juices flowing and get them to understand the importance of rebounding each and every missed shot! Four-on-Four Shuffle Rebounding – Trains your kids to locate their man and block out FIRST... then go after the ball. Box Around the Ball Drill – The best way to teach proper blocking out technique, allowing your players to own the paint and send your team’s rebounding totals skyrocketing! Power Rebound Drill – If you’re looking for a physical rebounding drill where the emphasis is on toughness, then you’ll love the power rebound drill! One-on-One Weakside Rebounding – a great "spatial awareness" drill that trains your players to lock onto dangerous rebounding opponents and aggressively clear them out of the paint! Five Man Rebounding – This is a great drill that works a multitude of different skills … it’s particularly great if you are short on players for a practice or if you’ve got lots of gym space! Gopher Box Out Drill – My favorite "game situation" rebounding drill - your players will ask for this one by name! So you can take this information to the court TONIGHT, and start using these drills with your team at your very next practice. All 32 of these drills are based on concepts and ideas from some of the most established and successful high school, college and pro coaches of all time. Brian Morehouse - Led the Hope Flying Dutch to 20-or-more wins in eleven consecutive seasons, claimed nine Michigan Intercollegiate Athletic Association (MIAA) titles, made 10 trips to the NCAA tournament, including two Final Four appearances, and won the Division III national championship in 2006. Coach Morehouse was chosen the 2005-06 Division III national coach of the year by the Women's Basketball Coaches Association (WBCA). Aaron Johnston - Guided South Dakota State University to eight postseason appearances, including five NCAA Tournaments, since the program turned Division I in 2004-05. The four-time Summit League Coach of the Year (2008, 2009, 2012, 2014) has led the Jackrabbits to a winning record in all 14 years at South Dakota State, and has led SDSU to eleven 20-win seasons, including seven of the last eight years. Kevin Vande Streek - As coach at Calvin College, he has produced a won-loss record of 359-146 and is the all-time leader for victories by a Calvin men’s basketball coach. Led Calvin to eight MIAA regular season titles, eight trips to the NCAA III Tournament, two appearances in the NCAA III Final Four and one national championship in 2000. 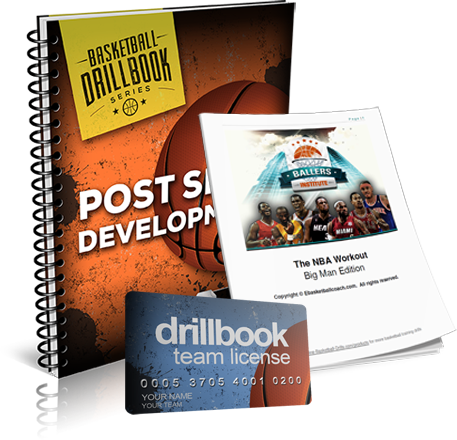 The Post Skill Development Drillbook is delivered to you in PDF format, so you can get instant digital access... right over your computer screen, smartphone, tablet, or eReader... from anywhere in the world with an Internet connection! That means you can download these drills to any device (or print them out) and bring them to practice tonight! I've pulled together in one simple collection every drill you'll need to develop outstanding post scoring and rebounding skills... from basic fundamentals to advanced strategies and tactics. 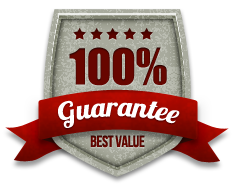 So if you're serious about becoming a better coach, and if you would like to instantly have a proven plan to develop top-notch Post skills, click the Add to Cart button below now. Remember, Post skills are NOT just for traditional "big guys" any more. If you want your team to succeed, and if you want your players to excel at the next level... it's ESSENTIAL that you work on these drills with every player at every position, from 1 through 5. Guarantee #2 - If you actually follow these drills in practice and don't see an immediate improvement in the way your players rebound and score inside, I'll actually refund TWICE your money. 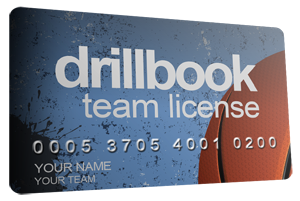 After you download the drillbook, you have my permission to reprint up to 20 copies of it for your own coaching staff and players... so you can get your entire team up to speed as quickly as possible! Let's take this up a notch! 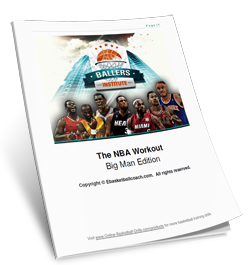 This special bonus gift includes 19 drills inspired by the NBA's best post players, including Dwight Howard, Blake Griffin, Chris Bosh and more! Offensive rebounding drills to improve your players' timing and aggression on the glass! This report is so essential I'm practically giving it away because I want to make sure you take the simple steps to becoming a Post Skill Develoment mastermind. So you can start running a highly efficient offense, scoring more points, and winning more games right away! Click the Add to Cart button below to get instant access to "Post Skill Development" Risk Free for just $7. YES, I want in! I want access to your "Post Skill Development" report, plus the Team License and the NBA Workout bonus. Please give me INSTANT access to this step by step drill collection right now! Your drillbook is waiting for you to claim it. Just $7 gets you instant digital access so you can start using these plays tonight. I've already done the research... spent the time filtering out what doesn't work… and compiling it all into this incredible "best of" basketball drill collection. There's no need to waste your time searching the web for unproven ideas, or spend hundreds of dollars on coaching clinics. 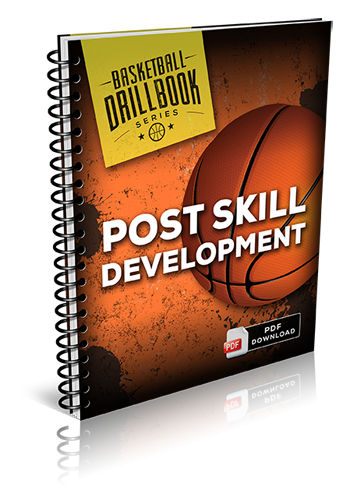 Just download "Post Skill Development" and you'll get instant access to a complete drill collection you can start using today! “Using your strategies helped us finish the season undefeated at 25-0. We averaged 45 points a game and gave up 24. Despite not having a player over 5'9" on the starting team, we out rebounded every team we played. Post Skill Development now for just $7!